Matthew J. Haas is an associate practicing in the Firm's Litigation Department. Matt has significant experience advising clients through all phases of the litigation process, including pre-suit evaluation, discovery, trial, and post-trial motions. He has a deep understanding of the discovery process and its importance to effectively prepare a case for trial. Matt also has considerable experience conducting depositions on behalf of clients, and arguing substantive legal motions in Missouri and Illinois state courts. Matt was selected for inclusion in Missouri & Kansas Rising Stars® in 2018. 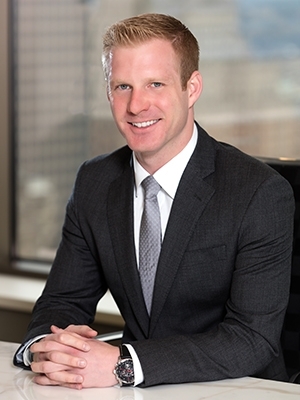 Prior to joining Lewis Rice, Matt was a senior associate at Brown & James, P.C., where he focused on defending insurance companies in contractual coverage disputes.